I absolutely love olive oil, but rarely bake with it. 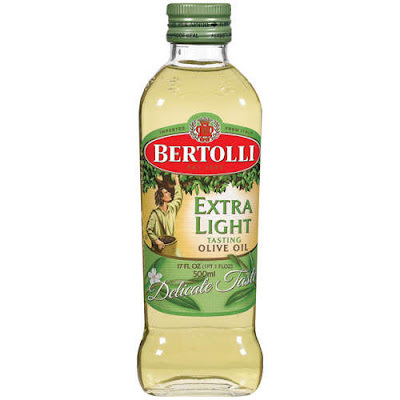 I was recently sent some Bertolli olive oil to sample and I noted that the Extra Light variety is perfect for baking. So, I set out to test this theory. 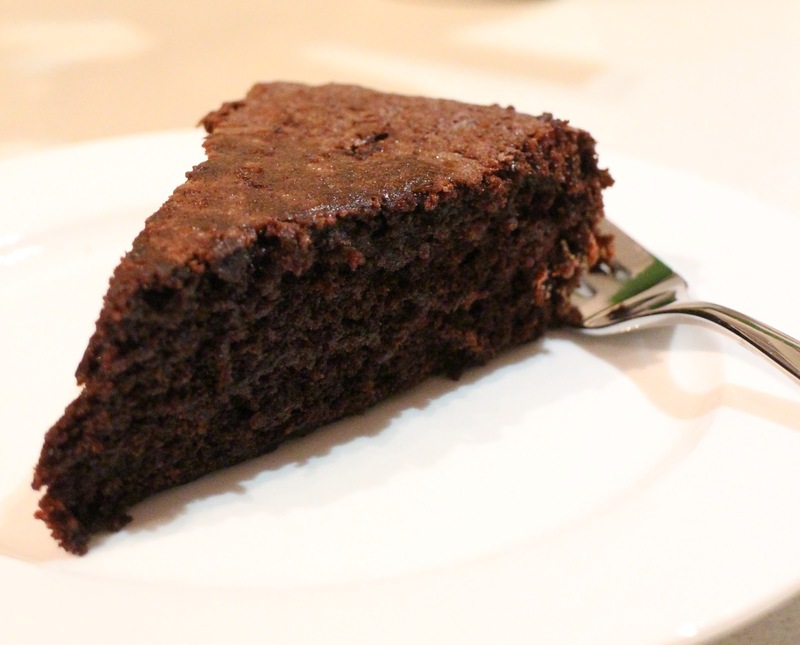 I adapted one of Nigella's recipes for this cake. I actually added some melted dark chocolate and a little plain flour. The results were impressive - a rich dense chocolate cake that went down a treat at work. Preheat your oven to 170°C/gas mark 3/325ºF. Grease a 22 or 23 cm/ 9inch spring form tin with a little oil and line the base with baking parchment. Measure and sift the unsweetened cocoa into a bowl or jug and whisk in the boiling water until you have a smooth, chocolatey, still runny (but only just) paste. Whisk in the vanilla extract, and stir through melted chocolate. Then set aside to cool a little. In another smallish bowl, combine the almond meal and flour with the baking soda and pinch of salt. Turn the speed down a little and pour in the cocoa mixture, beating as you go, and when all is scraped in you can slowly tip in the ground almond (or flour) mixture. 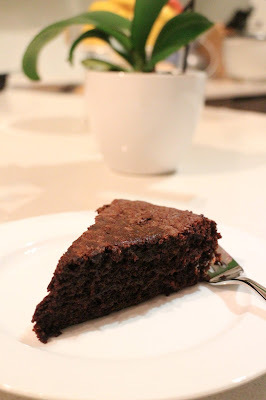 Scrape down, and stir a little with a spatula, then pour this dark, liquid batter into the prepared tin. Bake for 40-45 minutes or until the sides are set and the very centre, on top, still looks slightly damp. 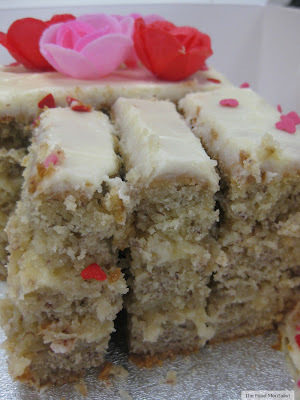 A cake tester should come up mainly clean but with a few sticky chocolate crumbs clinging to it. 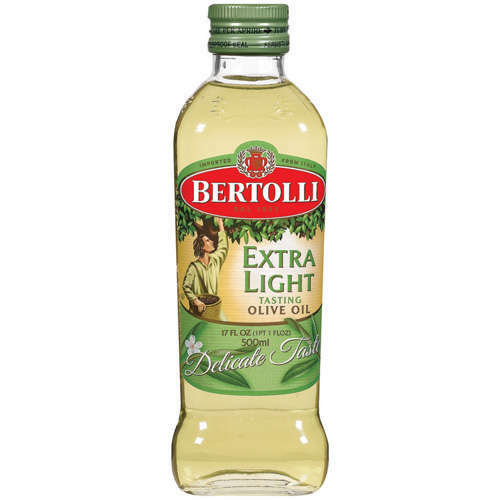 Tell me, do you bake with Olive oil? If so, what is your favourite go-to recipe? Yum what a lush looking cake! I don't often bake with olive oil but it is so much easier than having to deal with creaming butter!